Scandinavian Journal of Work, Environment & Health - Oncogenes and oncoproteins in occupational carcinogenesis. It seems increasingly likely that an important mechanism of action of certain workplace carcinogens in contributing to occupational carcinogenesis may be via the activation of cellular oncogenes, which then cause an expression of mutated forms or increased amounts of their oncoprotein products. Two prototypical models of this mechanism may be the ras oncogene and its p21 protein and the neu oncogene and its p185 protein. Both are known to be activated by exposure to common occupational carcinogens, and both are known to occur frequently in human tumors, including those of occupational concern such as lung cancer.  Knowledge of their mechanisms of action may lead to new opportunities for preventing occupational cancer.